On Wednesday, the WWE officially announced their new Mixed Match Challenge for next month. The innovative new offering from the company will be a tournament featuring mixed-gender tag teams. WWE will present the special format via social media streaming rather than USA channel or WWE Network, making it an even more interesting experiment. Here are the latest details on what fans can expect to see and when for the new Mixed Match Challenge from WWE. As the WWE website reported on Wednesday, the new single-elimination tag team tournament is set to begin in mid-January. The format features six male superstars and six female superstars from each brand. Teams will be announced in early January to let fans know who will be teaming up with whom. Most importantly, the winning team in this new tournament gets to send $100,000 to a charity of their choice when all is said and done. There could be some unique mixed teams competing too. For example, there could be a team of Miss “Five Feet of Fury” Alexa Bliss and “The Monster Among Men” Braun Strowman for Raw and a team consisting of Charlotte Flair and Shinsuke Nakamura from SmackDown Live. 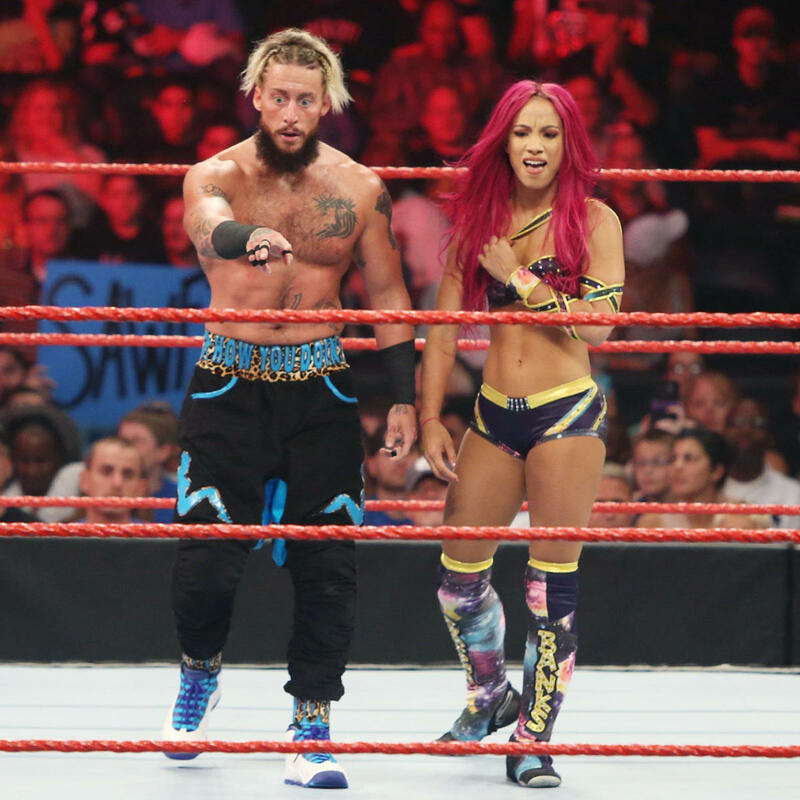 The Monday night pairings could also include Enzo Amore teaming up with Nia Jax, who recently seemed to be part of a crush angle with the Cruiserweight champ. The blue brand offers the potential for a husband-wife pairing of Naomi and Jimmy Uso. Other superstars involved include Sasha Banks, The Miz, Finn Balor, Bobby Roode, Carmella, Rusev, Sami Zayn, and Bayley. A fan tweet posted online shows off all of the reported superstars that will be involved in the tournament so far. There will be one more superstar added to each roster prior to its start in January. That will come down to fan voting, though. WWE is giving fans the ability to vote on Facebook to determine which member of the Raw roster is the final participant of the challenge. In addition, fans can vote for one member of The New Day team to join SmackDown Live‘s side of the challenge. 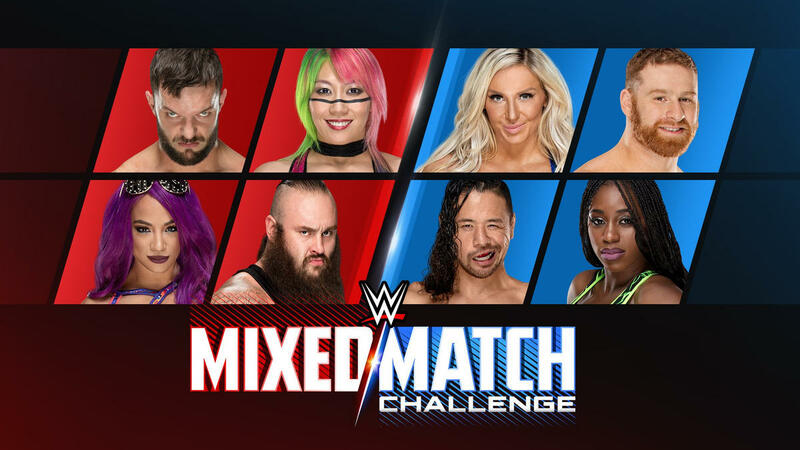 The new Mixed Match Challenge will be shown exclusively on Facebook Watch, which is certainly a departure for WWE from their usual presentations. This past week, in particular, WWE not only had Raw and SmackDown Live on the USA Network, but also their NXT show and the annual Tribute to the Troops show. That made for a total of four-straight days of WWE television. Now they’ll make a foray into the world of Facebook Watch with their own exclusive show for fans to see. There is a special Facebook page already set up just for the challenge. It seems as if WWE is finally embracing the new way of media, but it’s certainly surprising that this tournament is being run via Facebook Watch rather than their own live streaming network where fans would need to subscribe monthly to see matches. That said, this should provide an entertaining new tournament for fans to enjoy with some interesting mixed-gender teams hitting the ring for action. Fans can watch the new WWE Mixed Match Challenge starting on Tuesday, January 16, at 10 p.m. Eastern Time on Facebook Watch.